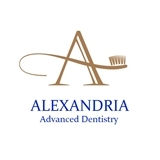 Alexandria Advanced Dentistry (Alexandria) - Book Appointment Online! After lots of time putting off the dentist appointments for anxieties about dental work, this dentist office is extraordinary! They made me feel at ease about the cleaning I needed and are extremely gentle with the job done. They developed a plan for the work I will need to have done that's coming up with the costs incurred. My only regret is that I kept putting off this dental work.